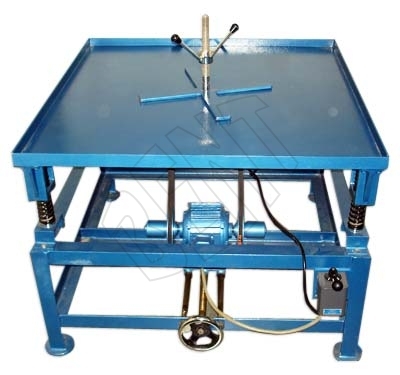 Vibrating Table offered by us is used at construction sites. Vibrating Table is used for the compaction of cement concrete cubes are casted. Vibrating Table, that we offer, includes a table top with elevated edges. This Vibrating Table can take a maximum load capacity of 140 kg. Besides, the variable pitch pulley arrangement allows frequency that varied between 2600 to 3600 RPM. Herein, our Vibrating Table has fixed amplitude. We provide complete unit with a starter switch. We make available Vibrating Table in different dimensions of table tops. We are equipped with a variety of some of the best Vibrating Table units.